Murzioğlu: Companies are being discredited. 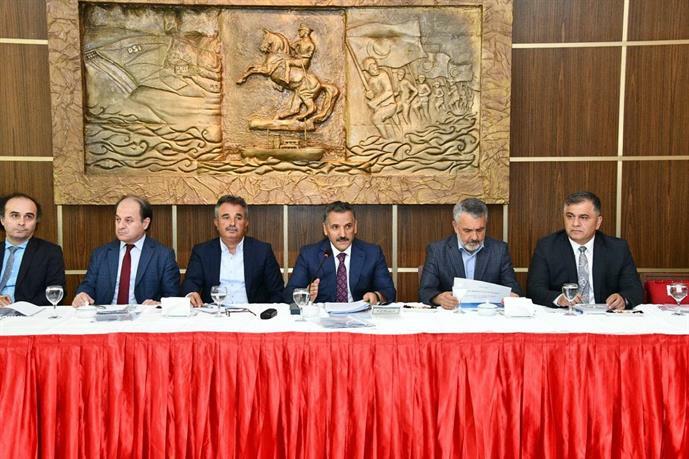 The Chairman of the Executive Board of Samsun CCI, Mr. Salih Zeki Murzioğlu made a speech at August Assembly Meeting of Samsun CCI and stated that: “Companies are being discredited by unjust people who take advantage of economic attacks targeting the country by preparing “Bankrupt Company” List. “Common Mind and Common Ground For Samsun” Meeting. 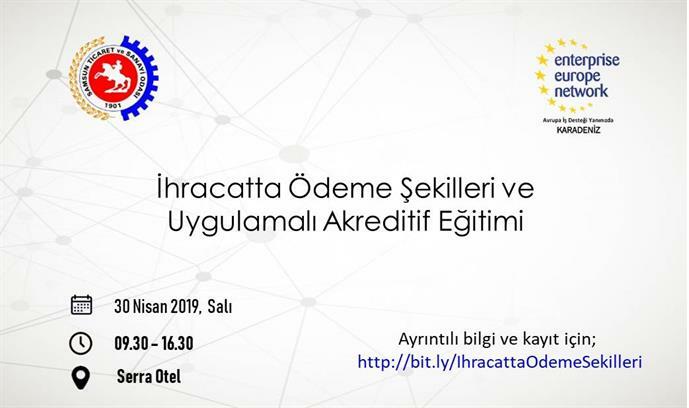 The “Economic Meeting” related to the Organized Industrial Zones and small industrial sites in Samsun has been organized and chaired by The Governor Mr. Osman Kaymak with the slogan of “Common Mind and Common Ground”. Murzioğlu: “Together We will Travel to The New Horizons”. The Chairman of the Executive Board of Samsun CCI Salih Zeki Murzioğlu attended the Joint Consultation Meeting of Regional Chambers and Stock Exchanges of Samsun and stated that the unity they have achieved sets an example for the Chambers and Stock Exchanges in Turkey, and also said: “With harmony and countinous consultation, we will make our way to the new horizons”. The Consul General of Argentina Mr. Rivera Visited Samsun CCI. The Consul General of Argentina Mr.Diego Alvaro Rivera has visited the Chairman of Samsun CCI Mr. Salih Zeki Murzioğlu and said that he was impressed by his first visit to Samsun, and also stated that they would endeavor to improve trade mutually. The Major of Samsun Metropolitan Municipality Mr Zihni Şahin paid a visit to The Directors of Samsun CCI, and expressed that the way to be effective and efficient is to act together. Cooperation Protocol Between Samsun CCI and İŞKUR. In the scope of “Employment Mobilization Campaign”, The Cooperation Protocol for Vocational Training and Skills Development was signed between Samsun CCI and İŞKUR during the 2018 Employment Metings with the participation of the Minister of Health Mr Ahmet Demircan. The Governor Mr. Kaymak Visited Samsun CCI. Murzioğlu: “Social Security Is An Indispensable Part Of Life”. 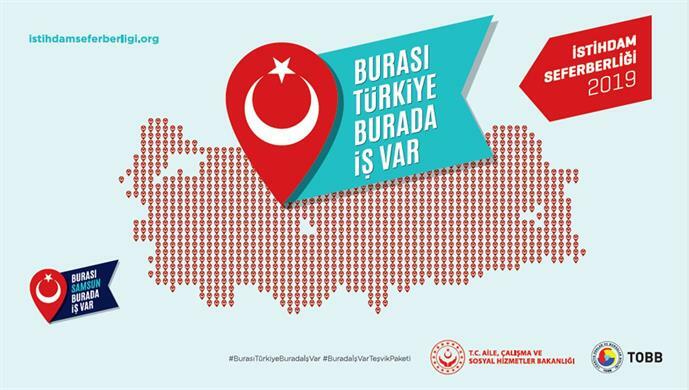 The President Murzioğlu Became Vice-president of TOBB. 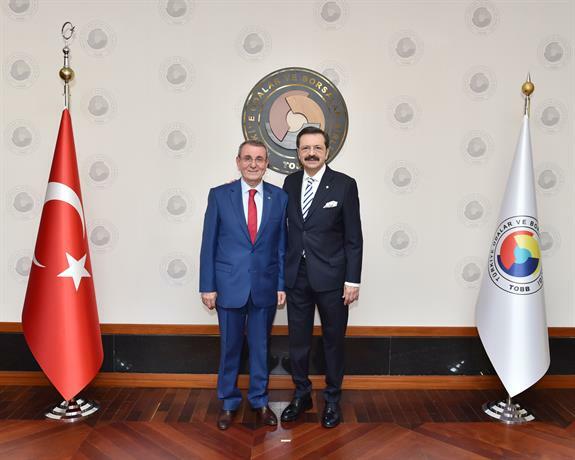 The President of the Executive Board of Samsun CCI Salih Zeki Murzioğlu who was re-elected the member of the Board of Directors for the second time at the 74th General Assembly of TOBB was appointed to vice-presidency.